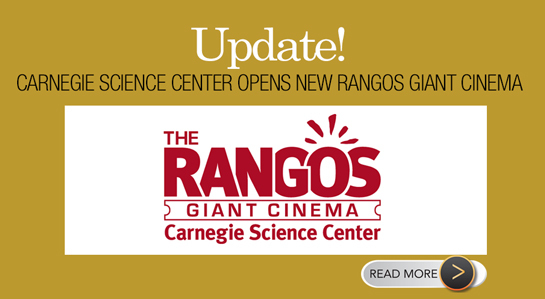 Carnegie Science Center’s Rangos Omnimax Theater on the North Shore is about to close for the renovations that will make it the Rangos Giant Screen Cinema. The Rangos Omnimax Theater in the Carnegie Science Center has had a 26-year run, but now, it too is going the way of land lines and floppy disks. This fall, a new Rangos Giant Screen Cinema will take its place, featuring 4K laser digital projection technology on a curved 70-foot screen, Dolby Atmos sound and new seating.